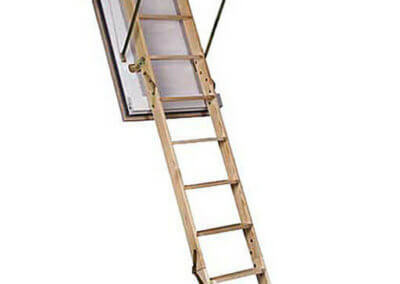 The BD90 fire rated wooden loft ladder certified to DIN EN 4102-2 for 90 minutes from below and above (F90 Plus). It is available made-to-measure. 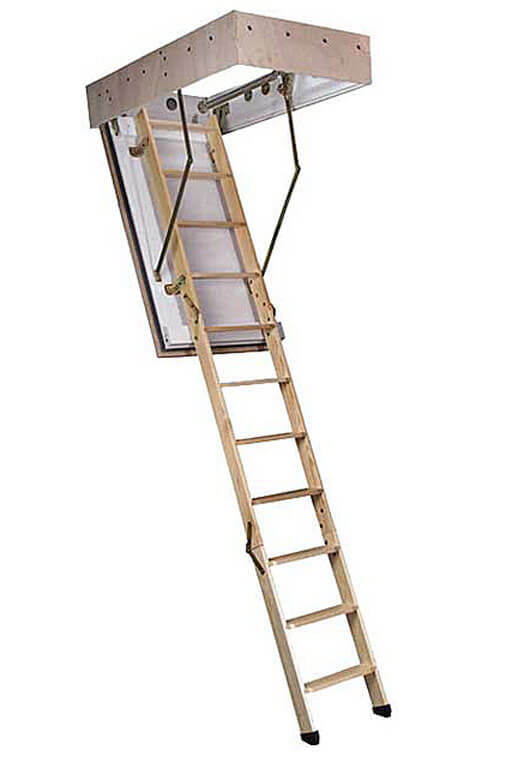 Furthermore, the BD90 is supplied as a ready to fit unit, consisting of a 3-part folding wooden ladder contained within a wooden hatch box and an insulated trapdoor. 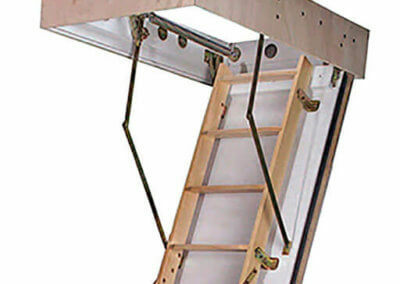 Traditional wooden loft ladder design. Load capacity of 150kg per step. Good energy efficiency of 0.69 W/m2K. Wide steps with anti-slip profile for comfort and safety. Hatch trap door finished in white on both sides. Certified fire resistant to F90 Plus. 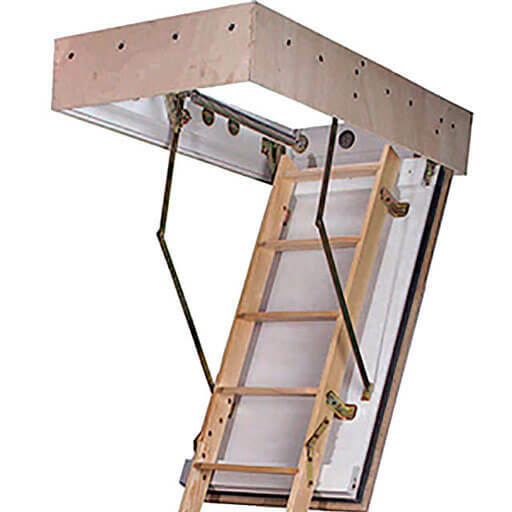 Fire resistant hatch box – certified to DIN EN 4102-2 for 90 minutes from below and above (F90 Plus). The BD90 fire rated loft wooden ladder is available made-to-measure for floor-to-ceiling heights from 2.54m to 3.36m, and opening sizes from 1200mm to 1500mm long x 600mm to 814mm wide.